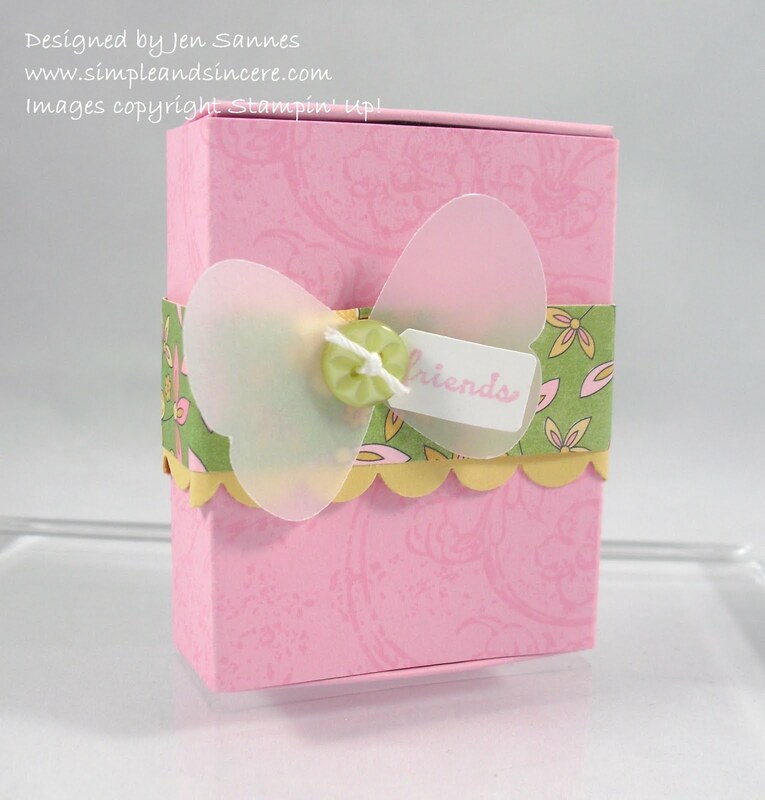 Here's a quick little treat made with the Matchbox die. I used the Very Vintage wheel and Tiny Tags stamp set to dress it up. 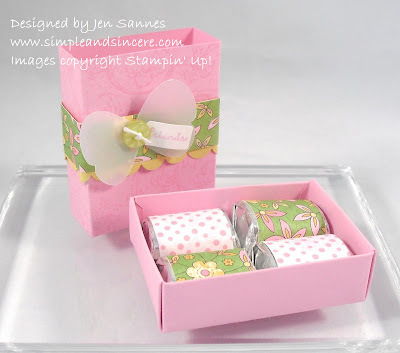 I filled the box with some nummies, covered with Tea Party dsp. 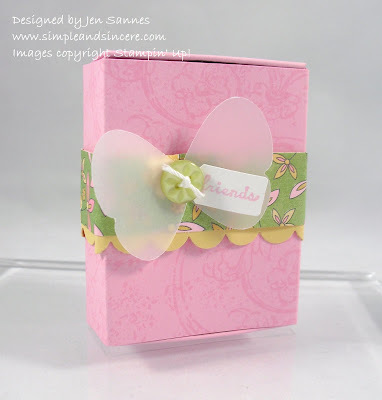 Love, love, love this paper - I only have a few scraps left, and I plan to use every last one. That's all for today - stop back soon!